With the festive season fast approaching it's always a time of year I find myself wanting to dress myself up a little more and add some sparkle to my outfits with jewellery. To be honest, I don't usually wear a huge amount of jewellery on a day to day basis and since minimising my possessions last year I found that I actually threw out a lot of the cheaper high street costume pieces which just didn't last the distance in terms of style or quality. These days when I do buy jewellery I like to make sure that I am actually investing in something a little more special and something that will have more longevity for me. It means that I am buying jewellery less often but it also means that the pieces I do own are much more special to me. When THOMAS SABO reached out to me and offered for me to select some items from their new AW18 and Kingdom of Dreams collections I jumped at the chance! They're a jewellery brand I have always found myself drawn towards and I've often browsed their store admiring their high quality, yet affordable, pieces. Beautifully crafted, the Kingdom of Dreams collection is a real eye catcher with a mix of 925 sterling silver and 18k gold plated pieces. The collection, inspired by all things dream like and Victorian opulence, features colourful stone adorned crowns, sparkling moons and stars and even unicorns. It's a real dazzling showcase that will definitely get you in the mood for the party season! When it came to choosing jewellery from the range I was instantly attracted by the cosmic allure of the moon and star pieces. I adore everything celestial at the moment and it's so on trend for this season. When browsing the earrings collection I was instantly struck by the Royalty Star & Moon set. I just love the mismatched look of these earrings and think they're so eye catching with sparkling stones and detailed ornaments. As soon as I tried these on I just knew that they will get worn time and time again and that's exactly what I am looking for in the jewellery I buy these days - something that's both timeless and stylish. I was also offered to choose a women's necklace to go with the earrings and I couldn't resist the matching Royalty Moon necklace. As I imagined, they go perfectly together and make a gorgeous statement set. This is a look I am going to love wearing together this Christmas and, talking of Christmas, I think these pieces would just make the most perfect gift for some special, or as a treat to yourself! 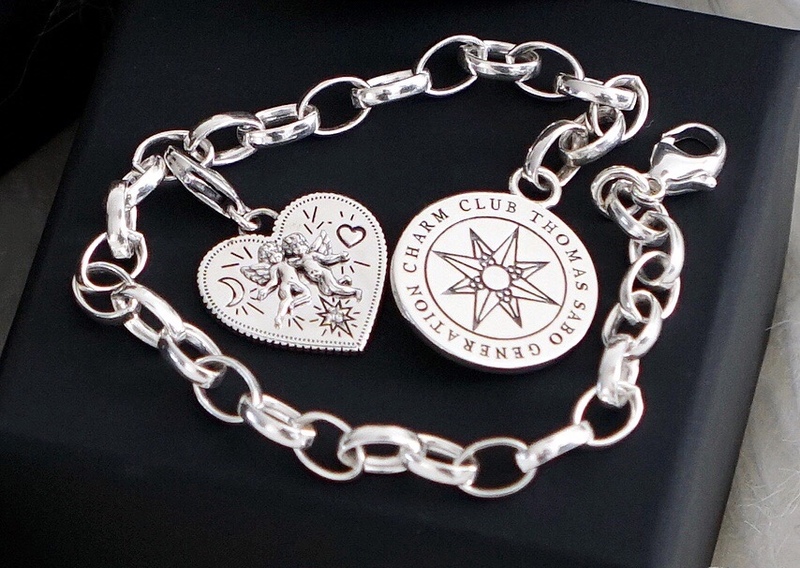 If you didn't already know, THOMAS SABO also have a stunning Charm Club collection with over 600 different original charm designs to choose from. This range of charms, chains and bracelets really allow you to use your imagination to create your perfect personalised piece of jewellery. This Christmas THOMAS SABO are giving away a beautiful silver heart charm for free when purchasing their exclusive Christmas charm bracelet*. This bracelet is just gorgeous and I love that it's a piece of jewellery that you can add to and change the look of with different charms. Again, this would make the most perfect Christmas gift! 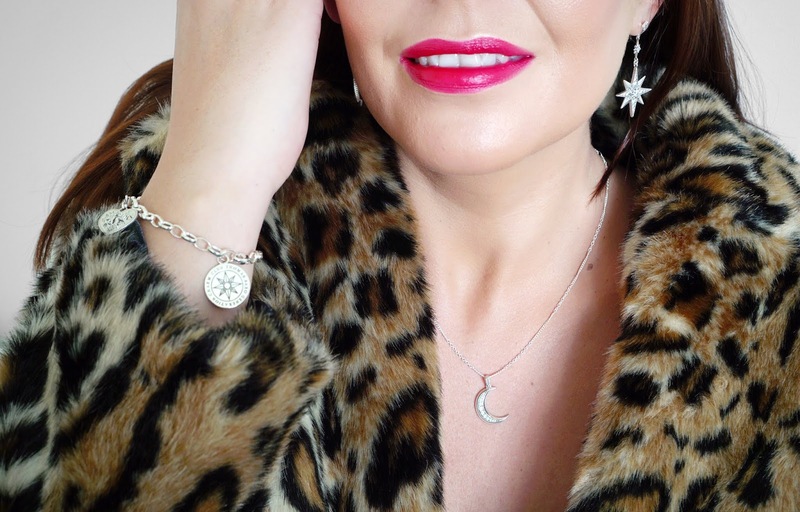 THOMAS SABO's jewellery for ladies really is hitting all the right notes for me and I'm so happy to have been able to share my favourite pieces and this exclusive offer with you all. Do you spot anything you like the look of from their latest collections? 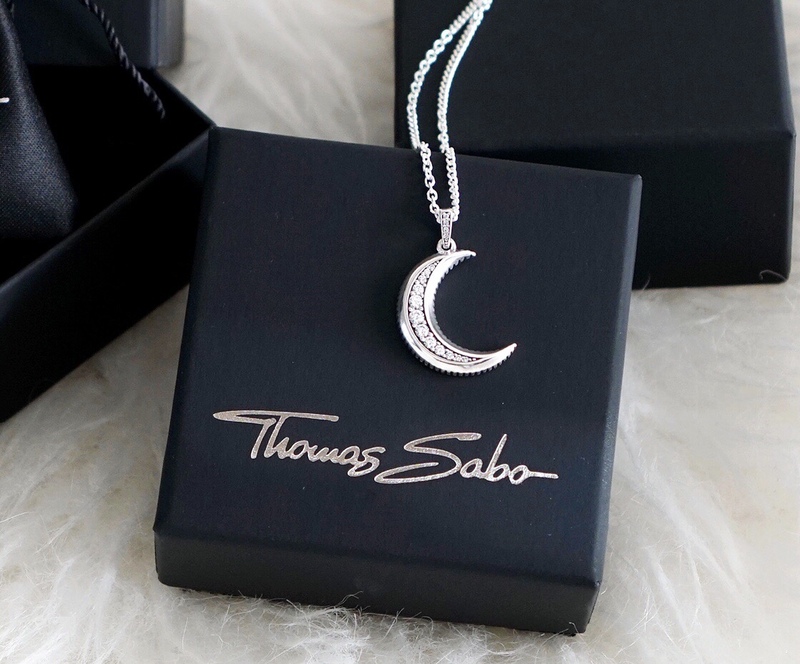 * This post was created in collaboration with Thomas Sabo. 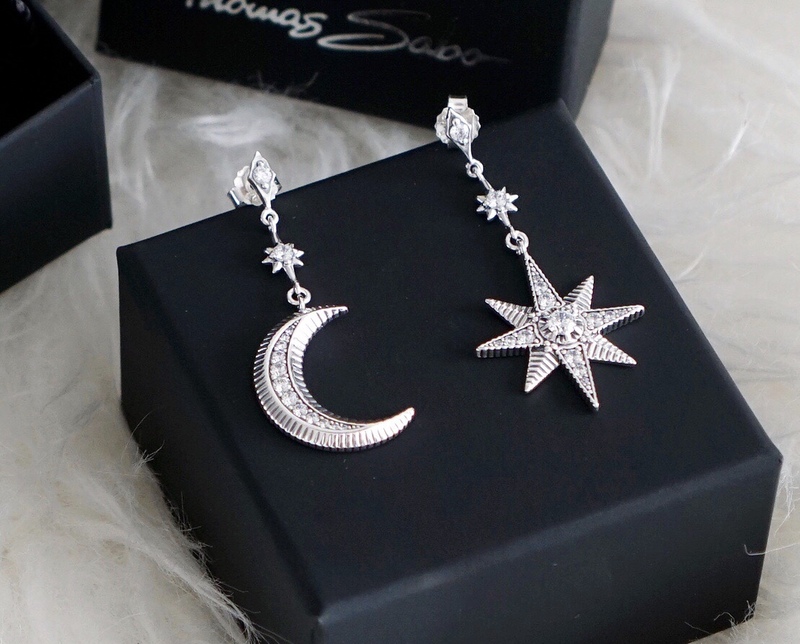 I'm completely in love with the star and moon earrings but I am wondering if they feel very heavy on the ear?